Most consumers believe the security breaches at Sony have harmed the firm's reputation and made them more cautious about giving out their personal data. The recent security breaches at Sony's PlayStation Network and Sony Online Entertainment, in which the personal data of more than 100 million online game users was compromised, has left 77 per cent of consumers more cautious about giving their personal details to other websites, according to new research. PRWeek/OnePoll's latest survey of 2,000 members of the UK public found that 94 per cent said the security breach was either damaging (45) or very damaging (49) to Sony's reputation. A further 79 per cent said the company took too long to tell the public about the security breach. But 62 per cent of those who owned a PlayStation said they would not consider switching to another brand of game console, because they believe the leak could have happened to any company. Many respondents were unable to say which online sector or brand was the safest. When asked about sectors, nearly half identified internet banking as the sector that would be most likely to keep their details safe online, but 32 per cent could not pinpoint any one sector. When discussing individual brands, 53 per cent of those asked could not identify one brand as safer than the others. Of those that could, 20 per cent said Amazon was the safest, with eBay chosen by 13 per cent and iTunes by nine per cent. When given the choice, only 17 per cent of those asked would save their bank card details on a site they used frequently. There has been undoubted damage to Sony's reputation, intensified by the communication about the breach. Sony's apology was late and this snowballed negative sentiment. Juggling the need to communicate quickly, while not over-communicating when the full facts may not be known, is never easy. I don't believe it's all doom and gloom; there is an understanding from the survey respondents that all organisations are vulnerable to hacking. Ultimately, gamers aren't using Sony's network primarily because of security, but because they love its products and the ability to play against people around the world. 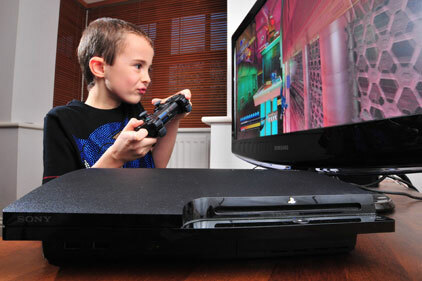 Most gamers' primary concern was how long they would have to wait to get back online. So as long as Sony treats its customers well on this point, which it appears to be, I don't believe many users will move to another platform. This breach has been a valuable wake-up call to consumers and businesses about the vulnerability of sensitive data. offers the best value for money? has the safest online networks? has the best reputation overall?